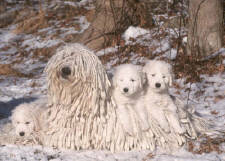 Search and adopt a Komondor near you. Vigilant, courageous, and very faithful. Strength, dignity, courageous demeanor.